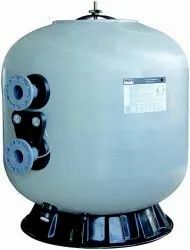 We are a leading Wholesale Trader of swimming pool sand filters and swimming pool filtration services from Pune, India. 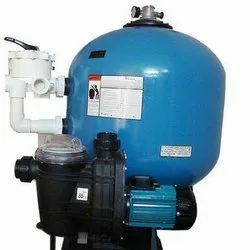 We offer a wide range of Swimming Pool Sand Filters also known as FRP Filters, which are obtained from reliable vendors. These products are basically used for filtration and we offer these products in an economical manner at reasonable rates.. Our products are used in hotel, resorts, school and colleges, These products are highly known for their great performance and are available in different sizes and shapes. These are available as per client requirement. We are instrumental in offering remarkable Swimming Pool Filtration Services. These services are rendered by a team of experienced professionals with the use of varied filtration machines and tools. While rendering these services, our experts aim at making water hygienic and pure with zero infection. In order to make water disinfected for a longer period of time, we make use of effective sterilization system. Further, we charge reasonable rates for providing these services to the customers.